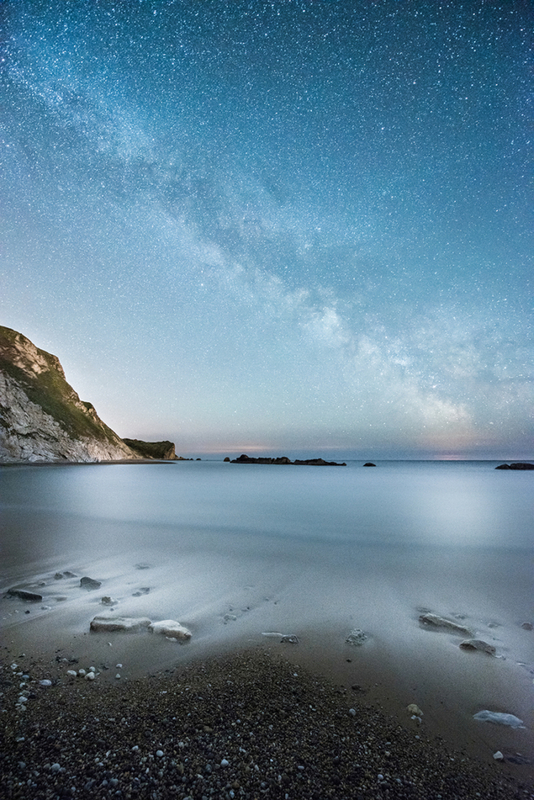 Night sky landscape photography workshop suitable for most levels of photographer and based on the Dorset Coast; to include field work, planning, and post editing sessions. Please scroll down the page for further information. 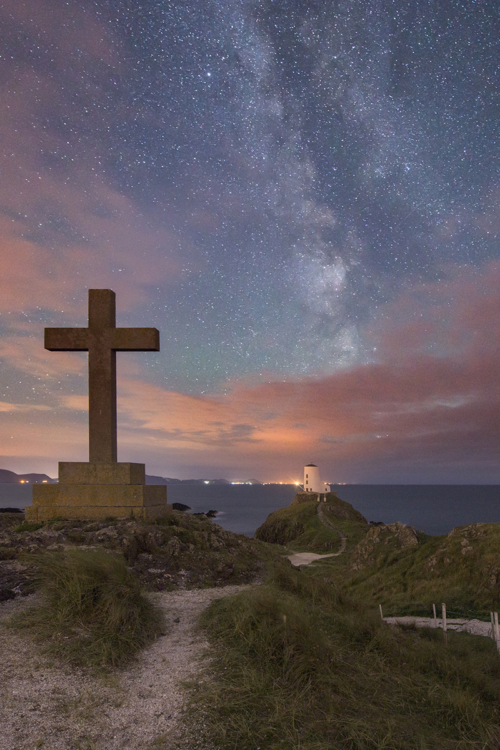 Landscape Astrophotography Workshop based in Dorset has become famed for its dark skies and is now frequented by night sky photographers, it’s coastline is the perfect location to learn or develop your nightscape photography. Light fitness level required, naturally, it may be chilly at night in May, uneven surfaces, and possible coastal path descent and ascent. 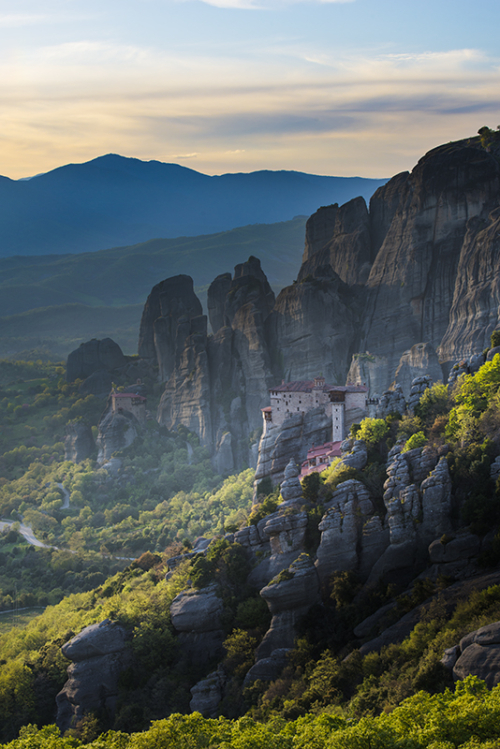 This workshop moves at a relaxed pace and is suitable for beginner, amateur, and intermediate photographers; though you will need to be able to operate manual camera mode. 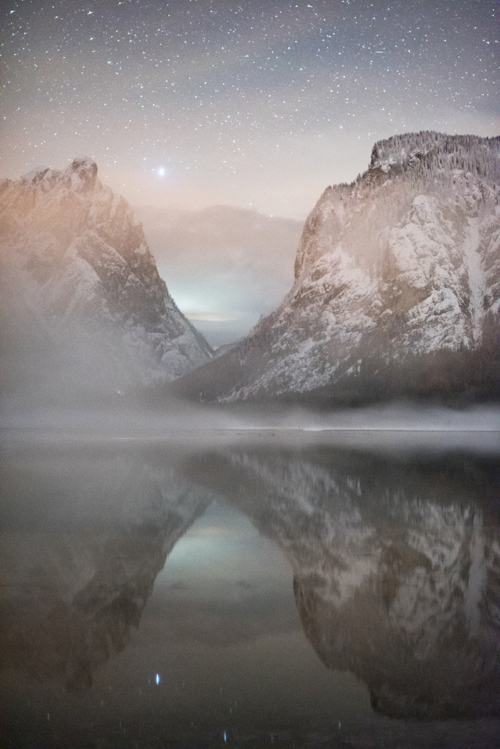 This nightscape workshop is structured at a steady pace with the night sky tuition repeated by the group to ensure everyone has a full understanding of how the techniques are implemented to give professional standard images, every time. Photographers attending the course will need a basic understanding of manual, but other than that, the workshop is open to all levels of photographer moving all participants through the field work, planning, and post editing in unison. The group workshop will commence with the initial meeting taking place before midnight, enabling time for a small ‘meet and greet’ session to get to know each other before working on our first compositions and preparing for our night’s work. Naturally there will be the opportunity to shoot the iconic Portland Bill lighthouse at night before we turn our attention toward landscape astrophotography and general nightscape techniques. Other popular Dorset photographic locations may also be used for field work; editing sessions will take place in Weymouth. Field work, planning, and post editing sessions are all incorporated over the two days; participants will need a camera body with manual and the widest possible lens, longer focal lengths and primes may also be covered (Ollie will discuss equipment upon booking) remote, tripod, warm outdoor clothes and footwear; and a torch, preferably head torch. Certain equipment can be borrowed if not owned. August 2018 will mark the 5th anniversary of Ollie’s nightscape workshops, they were the first of their type in the U.K, if not Europe, and south west located workshops (Dorset, Devon, Cornwall) have sold out year after year.